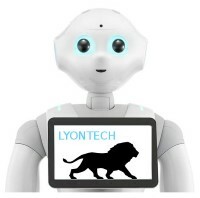 The Robocup LyonTech Team or consortium consists of highly qualified researchers in computer science (AI, vision, navigation) working in research and teaching environments together with groups of highly skilled students. The 3 teaching entities mentioned in introduction are very active in the robotic field. CPE Lyon is a 130 years old engineering school (chemistry and computer science diplomas) that offers a “service robotics” speciality (fourth and fifth year), based on software development for robotics (the robotic framework ROS), embedded systems, and a bit of mechatronics. The courses are based on a lot of practical work on different platforms (custom ROS plateforms, Youbot, Baxter, Naos, Peppers, Turtlebots, UAVs …). To finish their training, students have to work on a robotic project. Robocup@home is a convenient opportunity for students to work on a challenging global project, so we decided to keep working on this Robocup@home project for the following years. INSA Lyon is a leading engineering school belonging to the French INSA institute (National Institute of Applied Sciences). INSA Lyon boasts 23 research laboratories, more than 600 researchers and teacher-researchers, 650 PhD students and over 1,000 industrial contracts with the socio-economic world. It has been now 4 years that the Telecom Department has been offering a “Robotics & A.I.” specialization during the fifth year. Students are trained to autonomous navigation (perception, mapping, planning) and multi-robot cooperation. They also carry out a project, under ROS system, with mobile robots among one Pepper humanoid, 20 Turtlebot robots and 5 Parrot Bibop UAVs. Since 2017 some of them are working on human-aware navigation with Pepper for the Robocup@home project. Polytech Lyon is an engineering school integrated to University Claude Bernard Lyon 1. The school’s IT Department offers an “agent and multi-agent systems” module that focuses on artificial intelligence, considering various learning approaches (machine learning, developmental learning) or bio-inspired methods. Specific courses in this module are dedicated to a project where students have to apply these techniques to robotics, using robotic framework ROS and a platform composed of mobile robots. Robocup@home provides a suitable and motivating setting for this project. Research on robotics and application are well developed and structured. Two laboratories are involved in the LyonTech team. CITI is an academic laboratory associated with INSA Lyon and INRIA. The CITI Laboratory develops research activities bringing together computer science, networking, and digital communications to address the challenging issues related to the development of IoT, eet of connected vehicles and robots. The Lab. houses around 100 people, who are organized in 6 teams (see http://www.citi-lab.fr/). Among these teams, Chroma is an INRIA team-project dedicated to human-aware navigation and multi-robot systems (https://team.inria.fr/chroma). Jacques Saraydaryan, Fabrice Jumel, Laetitia Matignon, Christian Wolf and Olivier Simonin are members of the Chroma team (led by Prof. O. Simonin), which researchs focus on human-aware robot navigation and cooperation in dynamic environments. LIRIS is a laboratory of the French Center of National Research (CNRS) with more than 300 researchers (140 researchers staff) from University of Lyon working in a variety of computer science fields: Computer Vision, Machine Learning and AI, geometry and modeling, data science, services, distributed systems, security, simulation, virtuality, computational sciences, interactions and cognition. The members involved in the LyonTech project are part of two different work groups, namely the Computer Vision Group (Imagine) and the Multi Agent Systems Group (SMA). The Robocup@home challenge is an opportunity for team members to work on their specialties (image analysis, navigation, robot eet management). It helps them to define use cases to drive research focus. For example the cases of robot waiter and tour guide robot are directly considered in our study benchmarks for navigation.